Are you playing an instrument? Yes? Then you probably know what it is like when you’re practicing the same few notes all over again! Sometimes playing it slower can help too. With Replay Practice you can do exactly that. 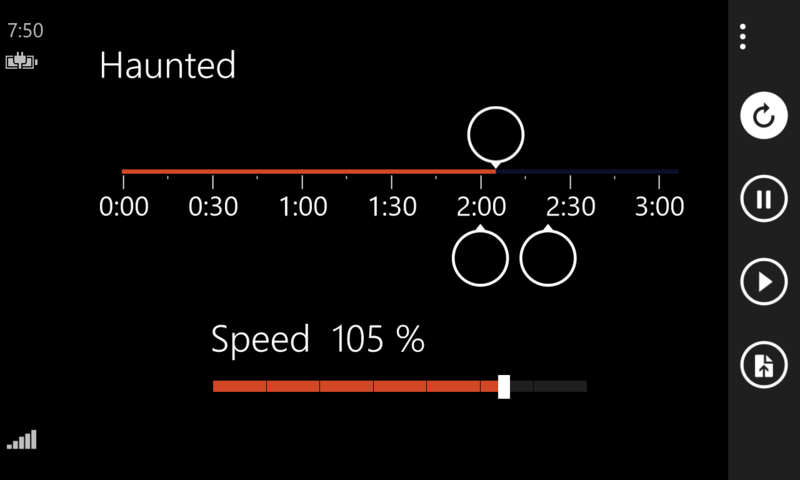 Choose a song, move the markers and loop a part of the song at a speed of your choice. Replay Practice is available for Windows Phone 8.1 and Windows 8 !